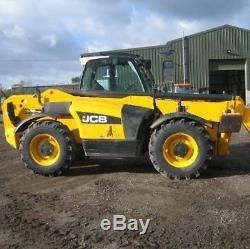 2010 JCB 535-140 3500kg Telehandler Telescopic Handler. If you would like any further information on this, or any of our products or services, please do not hesitate to contact our sales team. We are under no pressure from manufacturers to sell you any particular make or model. Our mission is to provide leading brands at the lowest possible prices; we're backing this up with impartial advice, excellent aftercare and superb service.